How to watch YouTube videos again and again instead of opening YouTube website each time you want to view a YouTube video? The best way is to download your favorite ones from YouTube. Some YouTube downloaders available online may be too complex in user interface, and complicated in operation. 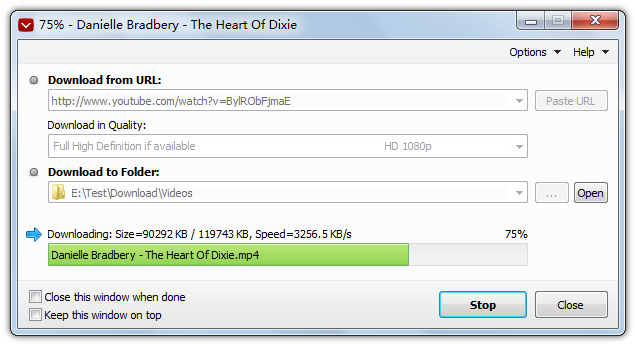 So what is the fastest and easiest YouTube downloader for your Windows PC or your Mac? Below are the top 10 fastest and easiest YouTube downloaders for you to download preferred YouTube videos, music videos, and movies for enjoyment repeatedly. Pavtube YouTube Video Converter is one of the most reliable YouTube downloaders for you to download FLV and F4V videos not only from YouTube but also from Google Video, Myspace, Vimeo, MTV, Dailymotion, CNN, MSN, Yahoo Video, metacafe and more. It can output YouTube to MP4, MKV, FLV, VOB, WMV, 3GP, AVI, MOV, MPG, MKA, WAV, AC3, MP3, etc for play on computer with Windows Media Player, transfer to smartphone or tablet, import to editing program or watch on game consoles or large screen TV. And batch conversion is supported. It is simply the fastest YouTube downloader to save anything from YouTube for free. It is equipped with an extremely fast download accelerator built-in for speeds up to 600X faster than competitors. You can watch YouTube videos on Mac, PC, iPhones, iPads, iPod, Android devices at any time. It is able to download 1080p and 720p HD videos in minutes and convert YouTube videos to over 30 more popular formats. FastestTube is an easy to use YouTube downloader, and supports downloading HD videos from YouTube, removing popup ads on YouTube videos and the first extension that supports all operating systems and browsers. YouTube Downloader HD is a fastest and free YouTube downloader able to download and convert YouTube videos to AVI video format and MP4 and other formats which are compatible with your iPads, iPhones, iPod, and more. With YouTube Downloader HD, you can download high quality videos, HD and Full HD videos from YouTube easily. It is a free and open source YouTube downloader. Users can start, pause or stop YouTube downloading at will. It also allows users to set bandwidth limitations and extract archives automatically. 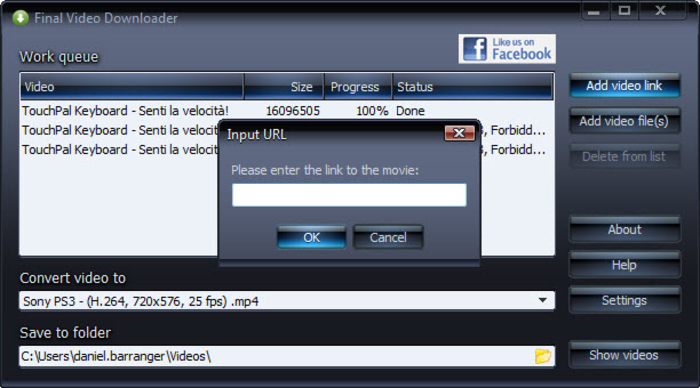 The Final Video Downloader is extremely simple to use in downloading YouTube videos. It can integrate with your web browser well so that you can display the video page in your browser and click the icon of “Final Video Downloader” to perform YouTube video downloading work. Compared to other downloaders, Final Video Downloader allows you to enjoy downloading speed up to 500%. Batch downloading is supported and you can save the downloaded YouTube videos in their original formats or convert them to formats compatible with devices like iPod, PSP, PS3, etc. With TubeDownload Classic installed on your computer, you can just do drag and drop to realize YouTube video downloading. To download and enjoy high quality and high definition YouTube videos, you shall never miss TubeDownload Classic to download and convert various YouTube content to MP3, MP4, AVI, WMV, AVI and 3GP. 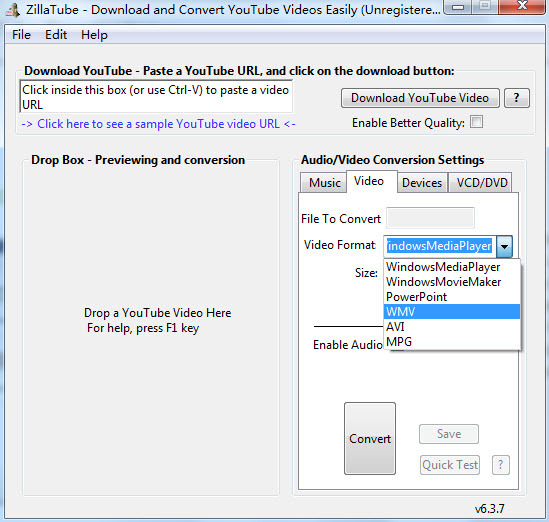 Zilla Tube can easily convert YouTube videos to high quality audio and video formats such as VCD, DVD, MPG, AVI, MP3, 3G, MP4 and more and save them to your computer permanently, allowing to play the converted YouTube videos on iPod, Phone, PSP, MP4 players, etc. As its name suggests, Easy YouTube Video Downloader is just one of the easiest YouTube downloaders in the world. During YouTube video downloading, you can enjoy quite a pleasantly high downloading speed regardless of the type and version of your browser. You can download YouTube videos in high definition and convert them to FLV, MP4, MP3 and 3GP. The add-ons can help download YouTube videos across browsers and different operating systems. 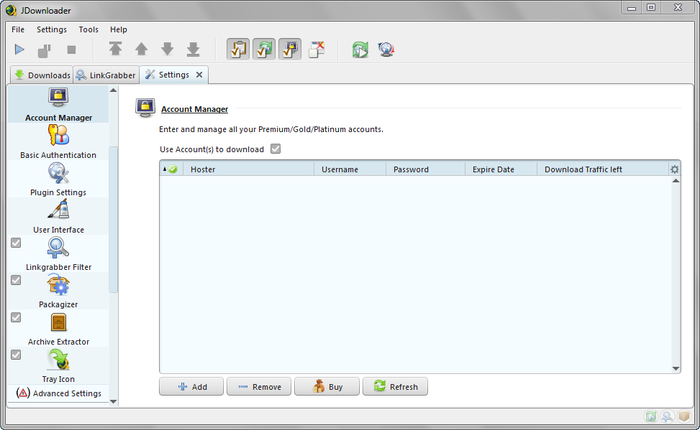 You can get a trial version of 30 days of Internet Downloader Manager. With IDM, you won’t have any annoyance caused by adware and spyware. And it increase downloading speed up to 5 times! It integrates seamlessly into Microsoft Internet Explorer, Netscape, MSN Explorer, AOL, Opera, Mozilla, Mozilla Firefox, Mozilla Firebird, Avant Browser, MyIE2, and all other popular browsers to automatically handle your downloads. How to Repeat YouTube Videos? How to Improve Your YouTube Viewing Experience on iOS Devices?